SH_MM had the most liked content! This is your interpretation of the slide. The slide just speaks about the "German model", which at the time probably was the version that Germany was planning to field. It doesn't say anywhere that the German model is a vehicle from the eight batch, that is something that you (falsely) concluded by assuming that the "German model" refers to the TVMs. That Germany at the time when the documents were transfered to Sweden (i.e. 1990-1991) was planning to keep a larger tank fleet - all upgraded to a similar standard. This is not reported, but Hilmes wrote that the poor protection in relation to the other offers was one of the factors for the improved armor arrays of the later Leopard 2A4. Don't forget that the Brits concluded that the turret armor of the Leopard 2 offers less protection against APFSDS than the Chieftain Mk. 10's Stillbrew armor package. You are assuming that the British military was given the same slides (or very similar ones) as Sweden (and that the slide shown in R. Lindström's presentation is the only one detailing the armor protection of the Leopard 2), that's quite a lot of assumptions... I don't think the British assessment was wrong, nor that the 350 mm protection cited by Taylor's book are incorrect - it seems that Mr. Taylor just didn't specify the area/arc that is protected. The hull armor of the Leopard 2 (and with that also the minimum overall frontal protection) offers circa 350 mm steel equivalent protection according the Swedish leaks. The turret armor likely provides a minimum of 350 mm steel equivalent protection along the frontal arc. Both two possibile and more reasonable explanations than "the Brits misinterpretting the slides" - specifically considering that they were always focused on protection along the frontal arc, rather than protection only from heads-on. The Challenger 1, Chieftain with Stillbrew armor, M1A1 HA and Challenger 2 proposals were all better protected than the Leopard 2 in one or multiple ways. Which given that even Rheinmetall's 105 mm smoothbore gun firing a rather primitive APFSDS round (by modern standards) could defeat similarly sloped steel plates of similiar thickness shows that it wasn't a terrible idea not to rely on sloped armor. HEAT rounds depend on trajectory and fuze (Obus G for example comes really close to defeat the sloped glacis plate of the Abrams) also should be kept in mind. Using old tanks (turrets and hulls) without replacing the turret armor inserts. Sort of like upgrading the Leopard 1A1A1 to the Leopard 1A5 rather than the better Leopard 1A3 & 1A4, because it was cheaper and more such tanks were available. "NERA like on [...] M1" is mounted at different angles than the external shape. It hardly proves or disproves that the same is possible with box-shaped armor modules. T-90 also has a box-shaped turret, yet it has NERA, apparently mounted in the same fashion as done in the T-72B's turret: The external shape is irrelevant and doesn't tell us anything abou the type of armor utilized. There is not a lot of ways to move steel plates effectively. As West-Germany had access to NERA as proven by several sources (Held's patents, research at ISL, cooperation with UK, etc. ), it certainly would have chosen instead of some janky, less effective system only ever used on one tank. Shock-absorbers itself are not enough effective enough to move steel plates fast enough to affect the penetration of shaped charge warheads in any noteworthy degree. These armor systems don't gain any significant amount of efficiency by "moving" the steel plates. The main functions of the shock absorbers are: prevent the mounts for the spaced armor plates from breaking upon impact (which would happen with pure steel stand-offs of equivalent thickness) allow easy replacement of damaged applique armor plates allow to use steel alloys with high hardness, which are unsuitable for welding (in case of the rubber-wrapped armor plates installed on Leopard 1A1A1 and Jaguar) You seem to pretend that the Leopard 2's armor was not focused on protecting against shaped charges, while the MBTs made in the US and UK weren't meant to protect against KE at all. That's not quite right. The armor protection requirements for the Leopard 2 against kinetic energy penetrators were just slightly higher, while the protection requirements against shaped charges were just slightly lower than those of the Abrams. The protection requirements for the Challenger 1 were higher against both KE penetrators and shaped charges. Why you want to claim that the Leopard 2 would use a completely different (and non-existant) type of armor just because it has slightly different armor requirements than the M1 Abrams is beyond my understanding. If anything one could assume that the NERA plates are less in number (and more steel plates are used) or - as suggested by the Russian book citing a Soviet intelligence report - that the NERA plates have slightly thicker front plates for improved protection against APFSDS rounds. I also fail to understand why we are having this discussion, given that German authors describe the armor as Beulblechpanzerung (i.e. NERA). The difference in size of the heavy ballistic skirts is a result of the protection requirements, not of using a completely different type of armor. The US demanded protection of the crew compartment against a simulated RPG-7 along a 45° arc. This requirement didn't exist for the Leopard 2, thus the choice of skirt armor was different. The Leopard 2's heavy ballistic skirts are still NERA. Likewise the protection of the turret bustle doesn't say anything about the type of armor utilized on the rest of the tank, as it was just carried over from previous designs and there wasn't a requirement for shaped charge protection in this area. That's like saying that the fact that the M1 Abrams' rear section of the hull has non-ballistic skirts made of "Medium thickness spaced steel armor layers" never makes sense, if you want protection against APFSDS and shaped charges. The protection requirement against shaped charges, while being lower than that of the Abrams, was still a lot higher than the required protection against APFSDS rounds. The "Russian" (Soviet) spaced armor arrays are a trade-off between APFSDS and shaped charge protections, available manufacturing techniques, available space for the frontal hull armor array and costs. The fact that the turrets of the tanks made with such hull armor arrays always utilized other types of (more effective) armor says a lot about how "well" liked the spaced hull armor arrangements were. Add to this that the existence of Kontakt-1 ERA lead to a possible reduction in the amount of shaped charge protection that the base armor was required to deliver and you got a situation absolutely not comparable to the Leopard 2. The thin steel plates also become quite thick when accounting for slope, but such a high slope angle would be rather impractical in the Leopard 2's turret. The Leopard 1A3 used thinner steel plates, because it was designed to protect against 100 mm full-caliber AP ammo at most. To conclude that the Leopard 2 would utilize equally thin steel plates because of that doesn't seem very reasonable. The Leopared 2K was the direct predecessor of the Leopard 2 T14 Mod. and with that of the Leopard 2AV and Leopard 2 series production variant. The Soviet armor arrays didn't really get more mass efficient, most oof the protection is gained by increasing the amount of steel within the array, from 110 mm @ 68° to 170 mm @ 68°. The patent images are from 1973 and illustrate mounting mechanisms, not armor arrays. Nothing prevents from the same concept being used for sloped multi-layer plates. The Challenger 1 features improved turret armor over the Shir 2. I would not call it dubious. There are multiple documents stating the same protection requirements/estimates; it seems like one of the most detailed/confirmed protection levels we have for "modern" MBTs (more detailed/cofnrumed than say the Leopard 2's initial frontal armor protection). The fact that one document doesn't specifically mention 105 and 120 mm APFSDS rounds shouldn't be a reason to draw any conclusions (for example even the Shir 2 would have resisted the 105 mm APFSDS rounds avialable at the time the document was published). What was the definition of protection in the context of the document? Was it relevant in the context of the document that the tank could resist 105/120 mm APFSDS rounds or not? Is the phrasing indicating that Soviet APFSDS ammo can be resisted intentional? Does the mention of resistance against 125 mm APFSDS round make talking about 105/120 mm APFSDS rounds irrelevant (which isn't that unlikely given that British estimates placed up-coming 125 mm APFSDS rounds ahead of 120 mm L23 prototypes in terms of anti-armor performance). Note that the Vickers Mk. 7 with thinner and lighter armor is protected against "APDS and APFSDS up to 120 mm calibre" according to the same page of the document... According to the Haynes book, the Chieftain's Stillbrew armor was tested against a 120 mm APFSDS fired by another Chieftain - i.e. a developmental variant of the L23 APFSDS. It seems likely that the same round could have been used to test the armor of the Challenger 1. The Bundeswehr utilized a in-development APFSDS round fired from the 105 mm smoothbore gun to simulate Soviet 115 mm APFSDS rounds; assuming that the UK used prototypes of the 120 mm L23 APFSDS to simulate Soviet APFSDS rounds. The British estimates (or rather estimates made in all NATO countries) regarding the capabilties of Soviet weaponry drastically changed over the years. In 1980, they predicted future Soviet APFSDS rounds to reach a penetration of 660 mm steel armor at 2 kilometres and Soviet ATGMs to penetrated 1,000 to 1,300 mm steel by 1995 - very reasonable estimations. Earlier estimates done during the end stages of the MBT80 development saw Soviet APFSDS reach pentration levels of more than 500 mm at closer ranges - again very reasonable estimates. The poor accuracy of early 1970s estimates isn't that relevant for a 1980s tank project. The Leopard 2 could resist "125 mm APFSDS rounds at 1,500 m" according to Krapke, yet a DM33 round will result in a destroyed Leopard 2A4 at ranges closer than 2,200 metres in Polish practices... the same values are used for 3BM-42. ... and this conclusion is supported by no evidence. This is your assumption that the "Challenger II" concept would be equal to the Challenger 1 Mk. 2. That is however pure speculation without any evidence supporting it. The Challenger II and Challenger III concepts seem to be independent from the later development of the Challenger 1. That could be a typo or an error in the computer simulation. Because the armor has weakspots and not all surfaces can be covered by equal amounts of armor? The Leopard 2 from 1979 also has 350 mm (or more) vs KE on only 50% of its surface. That's pretty normal and also explains how small the protection differences compared to the Chieftain appear to be. Challenger 1 special armor weight is ~6.2 tonnes, while having a rather thick steel back plate. Leopard 2's special armor weight is ~5.4 tonnes with a thinner back plate. Why do you believe that the Challenger 1 would not manage to reach a better protection level than the Leopard 2 from 1979? Chieftain with Stillbrew can only be penetrated by the RPG-7 when hitting the weakened area of the gun mount, the turret ring or the roof/hatches. Challenger 1 can only be penetrated by the RPG-7 when hitting the weakened area of the gun mount, the turret ring or the roof/hatches That results in a similar kill probability? What a surprise... Thanks for sharing, but unfortunately that alone doesn't say much. How exactly looked this spaced armor (steel hardness, spacing) and how good would the same APFSDS round perform against a solid 115 mm @ 70° target? From what date is this document? Btw. the distances apparently should be 1,140 metres and 4,197 metres). The early version of the Burlingon armor was designed to provide at least the same mass efficiency of steel. Later variants tweaked for more protection against KE became available, reaching up to 1.5 mass efficiency against APDS ammunition. The version chosen for each tank concept was always based upon the weight limit and desired protection level. 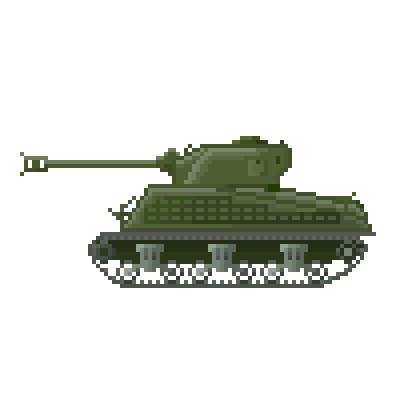 The Chieftain Mk. 5/2 represents an early concept, yet it already shows that Chobham/NERA modules can be very different: include or exclude the backplate. To assume that the different thickness of the back plate of the turret says anything about the exact type or composition of the internal armor array is a very questionable. They had different ideas regarding armor designs when the protection requirements were different (i.e. the responsible persons in West-Germany believed that achieving sufficient protection against shaped charges was impossible and armor designs therefore weren't focused on it) - when a requirement for protection against shaped charges was introduced, the armor arrays started to look similiar after a very short time. Spaced armor isn't very good against shaped charges, at least not the designs optimized for protection against kinetic energy penetrators. The empty space itself barely adds any protection, in some cases - if plate thickness, warhead diameter, stand-off and empty space are in a certain ratio - it actually can lead to an improvement in penetration (see the so-called "reverse spaced armor effect"). Spaced armor optimized to defeat shaped charges consists of multiple thinner steel plates, which are all angled. When the steel plates are sloped, the crater/penetration channel created by a shaped charge jet will be assymetric, which improves protection as the tip of the shaped charge jet is thinner than the rear section (i.e. the rear section hits the steel plate despite the fact that the tip already penetrated it. Note the assymetric shape of the penetration channel. Such armor is not optimal for protection against KE rounds, as the steel plates are too thin to break up the penetrators (thinner steel plates have lower TE against APFSDS rounds) and the space between the steel plates is too thin to allow fragments of the penetrator to split up or the penetrator to yaw. This type of armor was used on the German proposals send during the Kampfpanzer 3 / Future Main Battle Tank project to the UK and represented the technology level available of anti-shaped charge armor available in West-Germany in 1970-1972 (there already had been various experiments with composite armor apparently similar to the US' siliceous-cored armor, but this type of armor wasn't very promising). Why is this interesting? Because the development of Chobham armor started exactly like that: Thin spaced steel and aluminium plates tested as part of a fuel tank (the drawing shows "special armor number 1" of the FVRDE). The Germans also started incorporating fuel tanks into the spaced steel armor, i.e. the proposal from Krauss-Maffei had fuel as armor material in the hull. The fuel reflects shockwaves of the impact, which cause the steel plates to bulge - probably BDD with its polyurethane filler also had such a behaviour and might have inspired the development of the T-72B's NERA. In your opinion West-Germany has "done a 180" in in the Kampfpanzer 3 / Future Main Battle Tank program, because they decided to adopt Chobham for the tank to be developed under the project (or rather the UK was tasked to develop a special variant of Chobham armor meeting both British and German protection requirements). Turns out that they chose the armor providing the highest level of protection. And why should your thesis be "more likey"? You are describing a type of armor that doesn't exist ("suspended or movable steel plates"), never was made and never fielded, yet somehow you consider it to be more likely than the actual armor researched and fielded in the West during the time frame the Leopard 2 program was ongoing... NERA was patented in Germany by Dr. Manfred Held in the early 1970s, tested by the Franco-German Institute in Saint-Louis and a Russian book claims that a Soviet intelligence report describes an armor array tested during the Leopard 2 program consisting of five plates, four of them being NERA. The NERA was optimized for protection against KE by having thicker front plates (25 mm) made out of harder steel alloys, a design that the Soviets also fielded with the T-72B. According to Hilmes, tank concepts with NERA were created by taking spaced armor arrays and adding rubber and thin steel platess to the back of the spaced armor layers. As for the armor of the Leopard 2, the level of protection against shaped charges is a lot higher than the protection requirement against KE. It's more than 50% higher, so your armor needs to have a more than 1.5 times higher mass efficiency against shaped charges than against kinetic energy penetrators. Given the estimated armor weight (assuming armor weight is evenly spread and the protection level is 400-450 mm steel-equivalent against KE for the turret front) the armor needs to reach a TE of up to 1.9 against shaped charges to stop a MILAN warhead and up to 1.25 to stop an 38 mm diameter 105 mm APFSDS KE round. As far as I know, spaced armor doesn't achieve such levels of protection, regardless of "suspended or movable plates"; but a TE of 2 against shaped charges was even reached with the early Chobham armor arrays optimized for KE protection. Because it has proven to be the most efficient solution for both spaced armor vs KE and for NERA (as used on the Leopard 2) to have a thick back plate capable of absorbing the fragments of the projectile. Your armor design doesn't seem to work. The rubber would likely not have any effect on protection and only be torn appart when hit. You seem to think that the shock-mounts used on the Leopard 1A1A1 and other AFVs are allowing the armor to provide more protection by moving and that the armor used on the Leopard 2 would be an extension of this concept. I don't think that this is the case - if any, the added protection will likely be really small. The interaction between projectile and armor takes place within mere split-seconds, time in which the shockwaves from the impact have to travel to the rubber and compress it, the whole armor therefore is less effective in taking the kinetic energy and diverting it back into the path of the projectile. NERA also doesn't bulge before being penetrated, but only after the penetration is complete, which is why NERA (and ERA) requires a back plate to stop the tip of the shaped charge jet. If the front plate of the Leopard 2's turret is indeed 45 mm thick, then it is thicker than the front plate of the Abrams. Why would one require such a plate to protect simple steel plates suspended via rubber against autocannons? Protecting NERA makes sense, as autocannons could damage the layers, protecting solid steel plates doesn't appear to be very senseful. How would the armor plates go back into the original position after a hit? Doesn't seem likely that such a solution would remain intact after a hit. The Leopard 2's armor seems to be mounted differently than the armor in the Abrams or the British concepts. Krauss-Maffei patented two solutions during the early 1970s: either having the armor in boxes/cages (similar to how the armor is mounted in the Leclerc, aside of having it inside a steel cavity) or screwing the plates onto supporting bars. The Abrams uses springs under tension to hold the NERA plates (at least in the original model), which doesn't seem to favor heavier plates (also the Abrams was made to be cheap/affordable with a lower requirement for KE protection, hence using multi-layered backplates and/or HHS wasn't necessarily required/favored). The Challenger 1 wasn't originally designed to be a high quality tank with thick armor (when it was still the Shir 2), it only was altered in the 1980s with minimum changes to the overall design. The choice for a specific one of multiple possible armor types is the result of the protection requirements. The MBT-70, Marder 1A3, Leopard 1A3, 1A4 and 1A1A1 were all designed with protection against bullet-shaped, spin-stabilized AP, APCR and/or APDS rounds as requirement - there was no requirement for protection against APFSDS ammunition or shaped charge warheads (not even against the RPG-7). Against these types of threats, simple spaced armor with high-hardness outer plate is extremely effective, as the fragments of the round will easily spread along a greater surface area due to the spin of the round. This is also why the NATO heavy tripple target proved to be so hard to defeat for APDS rounds. APFSDS ammo is not spin-stabilized and requires armor to work differently if one desires efficient protection. A further stage - the disturber - has to be added to spread the fragments of the round, otherwise even the fragements of a broken long-rod penetrator will impact nearly on the same spot. NERA (of sufficient thickness) seems to be a good solution, as the bulging of the interlayer material will impede a lateral force upon the fragments, throwing them into different trajectories. The Marder 2 and the Boxer rely on ceramic armor whereever possible. The spaced armor is only used in the frontal slope area, where ceramic is less efficient (due to the shattering of ceramic tiles negating the gain in LOS from sloping the frontal armor). Here the requirement is again protection against bullet-shaped, spin-stabilized rounds one of the main goals, but while also considering protection against some types of medium caliber APFSDS ammo. These rounds usually have not been optimized to defeat multi-layered armor and rely on more brittle/denser alloys to maximize performance against homogenous steel armor (at least Rheinmetall claimed that the 30 mm APFSDS developed for the Puma was unique in being optimized for use against multi-layered targets). The Puma's NERA is not using particular thick steel plates. It seems to be an one to one to one ratio between steel plates and interlayer material, which is pretty standard and shows that the armor array is primarily optimized against shaped charge warheads, which isn't surprising given the large disparity in penetration power between medium caliber rounds (30-40 mm APFSDS: 100-150 mm steel at 1,000 m distance) and RPGs (300-700 mm steel). The Leopard 2A5's armor isn't really comparable, as the solution doesn't appear to be suitable for internal armor arrays. It is also armor designed a decade after the Leopard 2, not really relevant for the discussion. The larger weight of the add-on armor for the Marder is the result of the greater surface area covered. For the MBT-80, one proposal included add-on armor (just covering the sides) weighing more than 5.5 metric tons. The Marder 1A3's armor is designed to defeat a similar type of threat as the add-on armor fielded on the Leopard 1A1A1, hence the similar design. The second generation of add-on armor by Blohm & Voss looked a lot different, as this was designed to protect against shaped charges and APFSDS rounds: Protection against RPG-7 up to an side angle of 45° (Leopard 1A6 prototype) or up to 90° (SuperM48) was achieved. Turret front was resistant to an unspecified Soviet 125 mm APFSDS round at 1,500 m. Because the other AFVs are designed to defeat other threats? The Leopard 2 is the only mentioned vehicle (aside of the Puma IFV) designed with a protection requirement against APFSDS rounds and shaped charges, hence the armor used on it looks different. It has been described as NERA ("armor with elastic materials", "Beulblechpanzerung", etc.) by many authors and the connection to the cooperation with Great Britian, the NERA tested by the Franco-German institute in Saint-Louis and Dr. Manfred Held are known examples of NERA being related to the Leopard 2 program. NERA is not ideal for protecting against kinetic energy penetrators, therefore it offers no advantage when no reference threat with a shaped charge warhead is specified. To break a projectile, you'll need NERA with a similar amount of steel as the face-plate of a simpler, cheaper and more durable spaced armor solution as fielded on the Marder 1A3. The Bradley was fitted with steel plates bolted ontop of its aluminium structure during the M2A2/M3A2 upgrade - not with NERA, not with DU. Does this mean that the armor fitted to the M1A1 (HA) Abrams is pure steel armor? The Stryker is fitted with ceramic armor, again there is no NERA. The British Warrior IFV was fitted with NERA, as there was a protection requirement against shaped charges, but not much of a requirement for protection against kinetic energy rounds. The Leopard 2K utilized 50 and 84 mm steel plates as part of its frontal armor. The MBT-70 had a 130 mm cast base-plate (not including slope). The movement of the shock-mounted armor seems to play only a little or no role at all in terms of armor protection. The armor has been said to follow the Chobham principle by German sources and also was optimized for protection against shaped charges. Engineers all over the world faced the same problem: how to implement an efficient protection solution against shaped charges (that is also cheap and has decent multi-hit capability). All over the world this resulted in NERA, most of which has the form of bulging plates armor (spaced multi-layered plates with an expanding/elastic interlayer material). The Brits developed such a type of armor, the Iraqis developed such a type of armor, the Indians developed such a type of armor, the Soviets developed such a type of armor, the Israeli developed such a type of armor, the Chinese developed such a type of armor, ... ... but for some reasons West-Germany, despite being known to have tested NERA designs in the relevant time frame opted against using it? Unlikely. Have you ever seen the Challenger 1's NERA sandwiches? I haven't, but given the proclaimed protection level and that its special armor modules are heavier than that of the Abrams, I would be very surprised if it is identical in design. The Challenger 1 supposeldy reaches 500 mm steel-equivalent protection vs KE on the turret, but only 700 mm vs shaped charges - not a comparable ratio to the Abrams. The first "prototype" was the KVT, which was based on a Leopard 2 with "B" technology armor. The later prototypes were based on new built tanks, as they not only were meant for Germany, but also for export (according to Hilmes, the British Chieftain replacement program was one of the reasons behind the Leopard 2A5 - apparently partly because it was discovered that the Leopard 2's armor protection wasn't as good as expected compared to other tanks). The "C" and "D" technology armor was only developed after the Leopard 2A5 program was initiated in its early forms. It is possible that the "C" and "D" technology arrays were the results of the Leopard 2A5 armor program (or the Leopard 1A6 program) and only were installed onto new Leopard 2A4s (main armor & skirts), because they were available. As for the rest of your comment: Plans change. The Leopard 2 armor improvement programme was initiated in 1986, at that time it was planned that all Leopard 2 tanks at some point would be upgraded with improved armor and longer guns, as the Soviet Union still existed. Germany also didn't plan to keep the 2A4 hulls from the latest batches in the original configuration - the add-on armor was scheduled to be added, when a new turret with 140 mm smoothbore gun would require a major redesign of the hull. While the turret always needs to be replaced when fitting the NPzK-140, the hull could be reused; thus adding the add-on armor in 1995 would be a waste of money, as it might need to be replaced again in 2008. The option to upgrade Leopard 2 tanks with improved armoro and the option to only upgrade a small number of Leopard 2s only became available at the end and after the Cold War, hence plans were massively altered (specifically when the Russian Federation didn't act like the Soviet Union). As written by Hilmes, the decision to upgrade the turret armor and to keep the latest hull was the result of lobbying of the German army (procurement office), as politicians would have favored a cheaper option. Re-using the latest hulls also had the benefit of not requiring a complete overhaul, as they still had lots of years left before being worn out. I was rather thinking abbout South Korean ERA technology being utilized. Before the Altay project, Roketsan never produced any sort of special armor; now they make ERA and composites. Apparently it was the plan of the German army at the time to upgrade a larger number of tanks, most/all of which would feature the "B" technology base armor. The change in the political landscape resulted in a change of plans, thus only smaller number (of more capable) Leopard 2 tanks was upgraded. Hilmes suggested in his writings, that it was essentially an achievement of the German army's procurement office to persuade the politicians to invest into the upgrade of the late batch Leopard 2 tanks rather than upgrading the old ones. Not really, the reference threat manages to penetrate 950 mm steel at optimal stand-off, the armor was tested at sub-optimal stand-off (more realistical simulation of real ATGM) and with lots of space in front of the witness plate (as required for high-speed radiograph photos). Most experiments in scientific papers are not directly applicable to determine a protection level. Is that confirmed? 17 Leopard 2A5, the rest 2A6 and 2A6M. I don't think it ever has been described like that. It is just generally specified that the DU is "steel-encased" rather than at the exterior/interior surfaces of the tank; how it is used remains unknown (to me at least). However the British FVRDE apparently tested a version of NERA utilizing DU and polycarbonate interlayers. While it is certainly possible that the T-90 might utilize titanium alloys as part of its armor array, is there any sort of source suggesting this aside of Paul's old "shot in the dark" estimates? IIRC he later claimed, that this estimation might be incorrect, because apparently light metals aren't very good in NERA. That said, the Leclerc and Leopard 2A5 (at least the Swedish Strv 122) supposedly also utilize some titanium elements as part of their armor. The 1,100 lb are the weight savings, not the weight of the titanium per se. How this weight saving is measured remains unknown (Is the armor array itself 1,100 lb lighter? Does it provide protection equivalent to a 1,100 lb heavier armor array? ), thus making any predictions regarding what was replaced isn't really possible. How much NERA is there in the M1A2 Abrams before the SEP v2 upgrade? Was some of the NERA replaced by depleted uranium or other materials (High-hardness steel? Ceramics?)? We don't know. I'd reckon that only a relatively small portion of the "almost 10 tons of special armor" are still NERA. The DU armor adds 1,995 kg to the tank (comparing weight of M1A1 and M1A1 HA with the same tracks), potentially a bit more in case of the M1A2. That leaves already at best 6.4 tonnes of NERA, if none of it was replaced by DU or other materials when trying to improve the efficiency of the armor against APFSDS rounds. Titanium doesn't seem to be suited to replace high-hardness steel. This would put hull armor weight at 2.6 tonnes and turret armor weight at 5.7 tonnes. It seems that this is the total special armor weight, rather than just the weight of the non-steel elements. I guess Mr. Crouch didn't have access to the exact layout of the armor, but only access to informations how much the empty steel shell with and without special armor modules weighs. These figures lie within the expectations. The Swedish military reported that the M1A2 Abrams tank tested in Sweden (with a total combat weight of 62.5 tonnes) had less than 10 tonnes special armor weight. It is better and more modern than the XM578E4 APFSDS used in the United States. That is why I mentioned " testing the armor against a more powerful ﻿round﻿" as one of the reasons, why the series production Leopard 2 seems to be better protected against KE. Agreed. But unless armor technology is very different between the M1 Abrams and the Leopard 2, the latter tank (having thicker and more densely-packed armor arrays) should have an advantage. If more sources become available, the situation has to be accessed again to see if this thesis is correct. Based on the drawings of the special armor array of the original M1 Abrams, the weldline (shown as triangle) is located on the center of the back plate. Maybe that has changed in later production batches, but it implies an armor thickness of ~650-660 mm. I don't know how accurate the figures are, but the developers of the online video game War Thunder measured the thickness of an original M1 Abrams tank located in a military museum in Minnesota; based on their figures, the early M1 Abrams had thinner armor: The outer steel plate of the turret armor has a thickness of 38.1 mm, while the special armor cavity on the right turret front (in front of the gunner's sight) supposedly is either 19.5 inches or 490 mm thick (slightly different values cited on the English and the Russian articles. Unless the M1 Abrams turret has an unreasonable thick back plate, it should be assumed that the M1 Abrams from 1980 has an armor thickness of 620-650 mm (with slope this might end up as 732 mm LOS). I.e. the turret front has the same thickness as minimum along the 50° arc that the hull has at 0°. The CIA later accessed the M1A1 with 380 mm steel-equivalent protection. These figures are likely related to different criteria (impact angle, reference projectile, etc.). In general yes, but we know what projectile the United States military used for testing the armor of the M1 Abrams and what it was meant to represent. The figure from Paul-Werner Krapke's book apparently uses figures from a Swiss magazine, which was published in 1980. The Swiss article speaks about a Soviet 125 mm APFSDS round made of tungsten with length-to-diameter ratio of 12, 48 mm diameter and 575 mm length - that would be better than 3BM-42 and 3BM-32, even considering its sligthly lower muzzle velocity of 1,650 m/s. The rest of the article also contains some further errors... There is apparently some truth in the engagement ranges regardless of the Swiss articles, as we can see by looking at the data from the Swedish leaks and other sources. The Leopard 2 likely had better armor protection against KE than the M1 Abrams, given all factors considered (armor thickness, armor weight, confirmed use of higher quality steel alloys with greater hardness, testing the armor against a more powerful round, etc.). According to Polish defence news website Defence24, the project OMBT (Optimizing Main Battle Tank) Leopard 2 is moving along. This is a project from the European Defence Agency (EDA) of the EU, which aims to upgrade all existing Leopard 2A4 tanks within the inventory of its member states to a more modern configuration. Previously it has been reported that KMW is offering the EU to upgrade these tanks to the Leopard 2A7EU configuration and suggested, that the EU should buy all the tanks and then lease them to its member states to simplify contract matters. Apparently the final decision to which version the Leopard 2A4 tanks will be upgraded during the OMBT Leopard 2 program hasn't been made yet. After the OMBT Leopard 2 program, similar programs might be started for other tanks or AFVs within the inventory of EU member states. In May 2019 a number of meetings/conferences between the national defence industries will be held in order to start a cooperation for the OMBT Leopard 2 program between KMW and local companies. Aside of upgrading, improving maintenance and training also is also part of the OMBT Leopard 2 project. KMW has officially announced that it has been contracted to upgrade the 101 Leopard 2A6 tanks of the German mentioned previously in the topic. The exact content of the upgrade remains unknown, but KMW mentions the among others, the fire control system, optics and chassis (maybe including hull applique armor module?) will be improved. The question remains how much of it is locally developed. The deals when buying the M60T Sabra and when choosing the K2 Black Panther as base for the Altay tank both included technology transfer. Rheinmetall has announced that it is purchasing IBD Deisenroth Engineering. The purchase will be fully finalized by first of June 2019. All properties of IBD (and with that its joint-ventures with Rheinmetall like Rheinmetall Chempro and ADS Gesellschaft für aktive Schutzsysteme mbH aka Rheinmetall Active Protection GmbH) will become part of the Rheinmetall Group. The series production for the Mission Master UGV has started. Aside of the Bundeswehr (just for tests), Italy and more than one country from the Middle East have placed orders for the Mission Master. While not directly related to Germany, the Czech Republic has decided that the BMP-2 replacement will not be purchased after an open tender/bidding process. Instead the Czech army was given the right to choose its own IFV directly, talks with the companies are supposed to start soon. In the past the Czech army had openly declared the Puma their favorite option, although Rheinmetall's Lynx supposedly also has good chances of being adopted due to its lower price. Reading through my previous posts, I might have chosen the wrong tone; I did not intend to insult anyone, so if you felt insulted @DIADES, then I apologize for that. In the armor community it is unfortunately very common for people to become fans of vehicles, companies or countries, usually related to their own home countries and their respective militaries. These people are often 'attacking' the designs of other companies/countries - and IMO that is the case with your crititque - without a lot of thought put into the attacks, just to boost the perception of the vehicles/companies/countries that they are fan of. There are lots of valid reasons to criticize the Puma, I already mentioned a few (like the height limit, the focus on asymmetric warfare despite the role of the Bundeswehr being homeland defence according to the German constitution, or the high costs), but calling it out for the wrong reasons (like pretending that it was designed for a different knd of warfare than the Lynx KF41 or that it would use an outdated variant of Rheinmetall's LANCE turret system) just to make the Lynx KF41 look better is not valid. Speaking of the Puma, apparently the costs to upgrade 41 vehicles for NATO's VTJF will cost 228.1 million (or about €5.56 million per Puma)... that's quite a lot. Honestly way too much, even if the Puma's would be upgraded to the S2 or A1 configuration. Probably could buy an equal amount of new CV90s for that money, which seems to be a better idea. Hopefully this includes development costs, as the upgrades should later be introduced into the whole fleet. "Low" is always relative. The protection was a lot lower than that of the previous concepts developed for the NGP project. Project was further changed during development to meet the changing requirements. One of the lessons learned from looking at American performance in Iraq was for example to change the length of the side skirts: the original prototypes had skirts covering only the surface area, behind which the crew, the dismounts or the powerpack were located. On the series production model, the skirts were extended further down (with reduced thickness and slat armor) to also protect the drivetrain and suspension elements of the Puma. The name Puma was chosen very late in the development, because previous suggestions were either deemed unfit by politicians, industry or military. There is ERA on the Type 96G and Type 99, this is confirmed by Norinco.